We are very excited to bring on actor, Craig T. Nelson to talk about reprising the role of Bob Parr aka Mr. Incredible for Incredibles 2. Craig talks about how Mr. Incredible reacts to becoming a stay at home dad, getting the chance to work again with fellow actors and director, Brad Bird on the sequel and what this role means to him. Craig also chats with Art Eddy about where he was when he found out his wife was in labor with their first child as well as the values he looked to instill into his kids and grandkids. 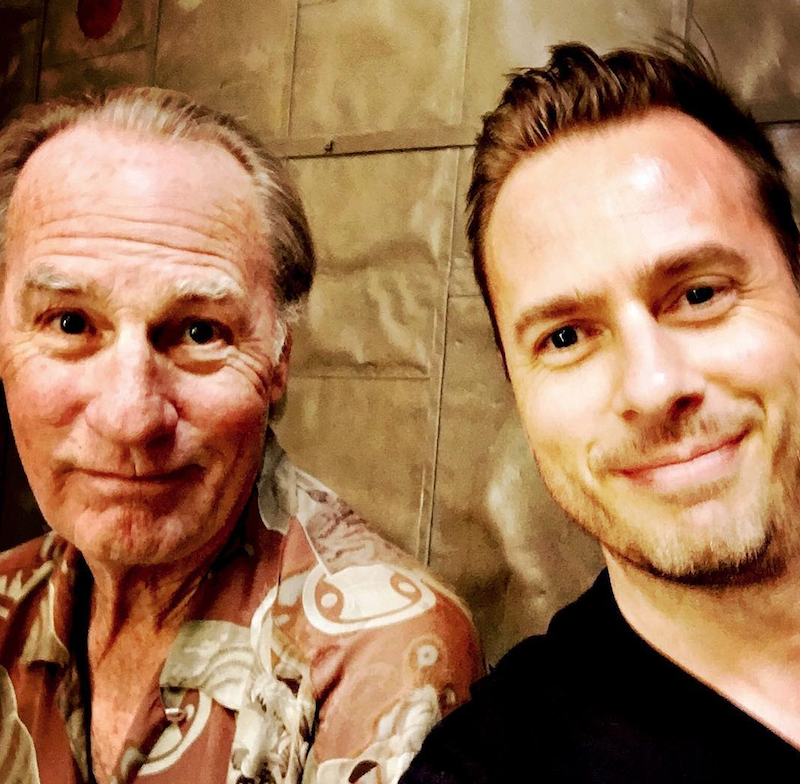 Craig T. Nelson and his son. Craig T. Nelson started out as a comedy writer and performer, doing radio and nightspot gigs in the Los Angeles area. Nelson starred in Poltergeist and Silkwood and then landed one of his most famous roles as Hayden Fox on the top-ranked ABC sitcom Coach. Nelson won an Emmy for his work on the show. Nelson then got the chance to play one of the lead voices in Disney-Pixar’s animated film The Incredibles. Nelson also was on the hit NBC series, Parenthood. Incredibles 2 sees Helen Parr (voice of Holly Hunter) being called on to lead a campaign to bring Supers back, while Bob (voice of Craig T. Nelson) navigates the day-to-day heroics of “normal” life at home with Violet (voice of Sarah Vowell), Dash (voice of Huck Milner) and baby Jack-Jack—whose superpowers are about to be discovered. Their mission is derailed, however, when a new villain emerges with a brilliant and dangerous plot that threatens everything. But the Parrs don’t shy away from a challenge, especially with Frozone (voice of Samuel L. Jackson) by their side. That’s what makes this family so Incredible. Written and directed by Brad Bird (“Iron Giant,” “The Incredibles,” “Ratatouille”) and produced by John Walker (“The Incredibles,” “Tomorrowland”) and Nicole Grindle (“Sanjay’s Super Team” short, “Toy Story 3” associate producer), Disney •Pixar’s “Incredibles 2” busts into theaters on June 15, 2018.